Buell announced in 2015 that he's finishing up his first fictional book, "Shadow-Man: Awakening." He published a rough draft of the books prologue in July. In 2009, Buell independently financed his first feature film, "American Ghost Hunter," which tells the dramatic and real-life story about one man's struggles to come to grips with a haunting that has plagued his entire family for years. Hailed by many as one of the most raw and powerful paranormal documentary films of all-time, "American Ghost Hunter" debuted in the summer of 2011 across 41 cities in a major promotional tour. The film was later released on-demand, in limited theaters, and then on DVD in 2013. The film was a financial and critical success. It is currently streaming on Hulu, Netflix and iTunes. Buell's first book, "My Journey Into The Unknown" hit book-shelves in October 2010 and became a best-seller. It received positive reviews and Buell earned a new audience of fans who had never seen the show, but read his insightful book, which detailed the making of the first season of "Paranormal State." The book made national headlines after Buell came out as bisexual when writing about his struggles with his Roman Catholic faith. To this day, the book can be found regularly stocked in major bookstores. It was announced in 2013 that Buell is writing another paranormal book. Ryan Buell, along with business partner Chad Calek, created and executive-produced a companion special for "Paranormal State," called "The Ghost Prophecies." The special aired November 2010 and was well-received by fans, bringing in roughly 1.5 million viewers. 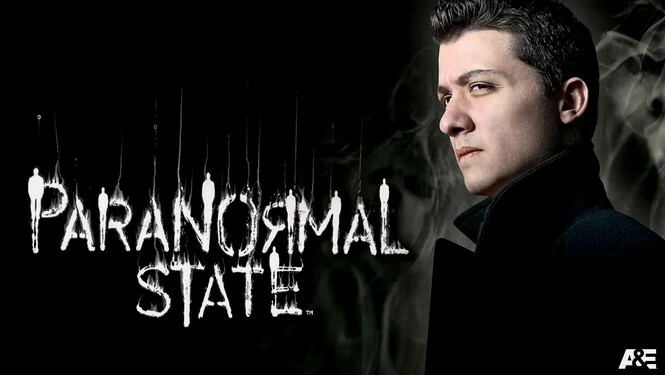 "Paranormal State" is a docu-drama that chronicles the real-life investigations of paranormal investigator Ryan Buell and his team, the Paranormal Research Society, as they investigate claims of unexplained phenomenon across the country. Debuting on A&E in 2007, "Paranormal State" became an instant cable hit. The first episode drew in over 2.5 million viewers. The series ran for six successful seasons. During the final two seasons, Buell served as an executive producer for the show and even directed a handful of episodes during the last season. Buell went from being a Penn State college student, followed around by a camera crew, to a widely recognized TV personality, producer and director. He is also considered to be one of the most recognizable paranormal experts in the world today. To this day, the "Paranormal State" fan-base continues to grow as people discover it on Netflix, iTunes, syndication and more.